I changed my DSL provider, oh, two weeks ago already. And this was by far the easiest and most successful new DSL line I've gotten. When we got the original line here, from France Telecom two years ago, it was a bit of a nightmare. At first they denied it was possible, and it then took several months of headaches before it was there. And it has cost me 72 euros per month. Now it seems like the lines have been unbundled in this area. Which makes it easier for competitors to offer better alternatives. Which I noticed when several of them suddenly were calling and being very pushy about their offers. I went with Free, which is probably the most popular. They have the wonderous freebox, which is what arrived in the mail within a few days. A few days later my old line, including the phone line stopped working. I plugged in the freebox instead and, voila, it worked right away. 2Mbits download speed. Which is actually terribly slow, as it would go up to over 20Mbits for the same price, if I just were closer to the phone central. I'm 4km away, which is huge, and which is why France Telecom and other providers previously would start by telling me I couldn't have DSL at all. For 30 euros per month, those 2Mb down and 1Mb up, plus free phonecalls, and around a hundred TV channels. Phone and TV just plug into that little freebox thing. And I can watch TV on my computer, as it presents the channels as a playlist with video I can play in VLC or a similar program. And a fixed IP number. That in itself cost me 30 euros extra per month from France Telecom. My only complaint is that some of the routers on the Free network seem a bit overloaded at the moment. Which hopefully they'll fix. But I feel a little more like I'm in the 21st century at least. Now I just need to update my ancient computer. 13 Mar 2006 @ 18:02 by jstarrs : Well, you're lucky. I spent six months trying to get a working Freebox with the usual 'no human behind the scene' after sales until I got heavy by using a consumer association & a lawyer. A second Freebox arrived but...still didn't work. More threats and, finally, the third worked. Must've been a problem of 'series'. They also re-funded my six months subscription. In the end, after some forcing, they're about the best. The free telephone is great with my son & mother in the UK and my daughter in Canada. I haven't succumbed to tele, though! Yeah, actually I have heard several Freebox horror stories, so that counted somewhat in the other direction, in terms of choosing them. I didn't know if I was going to have months of trouble, and if maybe France Telecom cuts my DSL and telephone at the start, and it still wouldn't work before much later. So I guess I was lucky. In signing up I kind of enjoyed that no humans were involved. I had had several phonecalls from Neuf Telecom, with extremely pushy sales people. After looking at the sites for the different providers I decided to go with them anyway, because they offered my 1Mb where nobody else, including Free, offered me more than the 512kb I already had. But a few days later, suddenly Free said I could have 1Mb+ AND telephone and TV, so it all looked different, and I didn't think about the horror stories my friends have had, and I chose them instead. I think the ( freebox) utility is being provided only in afew countries ( if not only in France),right? Coz this is the 1st time I hear about it and really liked it. 20Mbits??? you mean 20 Mbps?? with the same cost of 2 Mbps? Yes, 20Mbits per second. 30 euro per month. Kind of makes it worth moving. I think it is only available in France. There are other places one can get 20Mbps, as that's what I understand the ADSL2 standard to offer. 11 Apr 2006 @ 12:46 by Shevaun @82.226.27.184 : help with freebox!! I have some problem with the freebox.All the channels seemed to be scrambled. There is no way I can watch anything. The picture and the sound seem to be out of sink, and both are not coming through clearly. I don’t know if this is a cable problem – I bought a new cable when we got the TV (Samsung.Th TV worked with the freebox the first night but from then on in it has been terrible. I have tried the web site, but have not been able to find any info.Can someone out there help!! My French is very basic so I am having doubts as to whether anyone here will be able to help me with this problem!! Do i need to go onto satellite TV? ?Thank you!! You have tried rebooting it, right? (Disconnecting the power and letting it restart until the time shows up again) If you go to the member area of the website, what does it tell you about your distance to the central and the effective bandwidth of your connection (how many mbps)? You might possibly be too far away from the central for TV to work, as it requires quite a bit of bandwidth. I'm 4km away, which is a lot, but it is still mostly working. I can't seem to access any pay-per-view channels or previews, but otherwise it is fine. My freebox hasn't worked properly since Aug 2005. Tech support hasn't helped me. I have now had two freeboxes. I have been forced to degroup. Then regroup. Then degroup again. Still no Web, no tv, no telephone. Since I am a web publisher and journalist this has cost me a lot of time and money. I am now going to take action. I shall be writing about this system in the technical press and on the Web. 17 Aug 2006 @ 17:53 by John Voyer @130.111.136.152 : How do I order Freebox? I will be living in Angers, France, for two months (October and November). 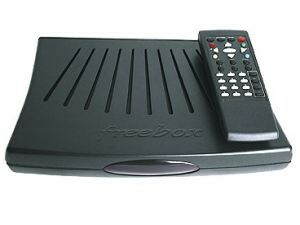 How would I go about ordering Freebox for my rented house, given that I will be in the United States until Oct. 1? Ive had my Freebox for a week and so far the green lines are still going in circles. Ive done 2 re-boots which has made no difference. Help line no good as no-one speaks English. Cant even get the instruction book in English so have spent hours scanning in and copying and pasting onto Google language translater to make sense of it. Why isnt it set up by a technician like sattelite TV is, so you get something that works. Wish I'd seen some of these comments before I committed - I wouldnt have bothered. I agreed to subscribe to Freebox on 5 Sep 06 and at this date 21 Oct 06 I still have no TV access and a very poor internet service. The letter sent to you by Robert Andrews 15 Sep 06 has me worried as when I signed up for this service I understood that I could cancel at any time without subscribing for a minimum period. Can you confirm if this is so or not as I intend to return the equipment to Freebox. I believe one doesn't commit to any length of the subscription, so one should be able to cancel at any time, and return the equipment. Your service depends on the distance to the central. Have you looked up the numbers in the web interface, under "Characteristique Technique de votre ligne"? I had OK service with 4km to the central, with 1-2Mb/s internet, and ok TV service most of the time. At my new house I have 2.8km to the central, which gives me 3-5Mb/s. Took a while to get it installed properly, though. In my experience, Free gives you the best download speed for a given line. But they're a huge company, and if things aren't working, it might take a while to get through and to get it sorted out. I've heard many horror stories, and I can add my own. But France Telecom is worse, and they're all pretty bad. Can anyone help. Both myself and a freind bought a wifi card to use with Freebox. However, having folwoed the instructions on ading a wifi card and activating it, nothing has happened. the instruction manual says open Metwork connections and the card displays as a network. However, despite activating and disactivating 10 x plus neither of us can get the card recognised on our computers. Both run Windows XP. The |Freebox works fine for us both but we are unable to connect to other computers in the house, which was the whole point of buying Wifi. Is the card blinking green? And you've activated wifi on the site, and rebooted the freebox, right? Oh, you say the card is showing as a network connection, so those must be fine. But there are various options for how one authenticates, to log into the network. WEP is most likely to work everywhere, but there are several types and lengths of passwords. XP should handle all of them, but the network setting on the computer has to be the same as what is configured for the freebox. I used WEP with a 10 character (=40 bit) HEX password. That would consist of 0-9 and A-F characters. Like: ABCDEF1234. As far as I remember, a short WPA password would be 11 characters, like mywifi54321. I've now upgraded to the Version 5 Freebox, which has the Wifi built in, but the configuration is still the same. Sorry Ming I have misled you. The instructin manual says it should show in Network Connections but I have not been able to get it to show. The leds are constantly green not blinking. I have set up the rest exactly as you say. And you have a WiFi card in your windows machine, obviously? Anyway, on my old Freebox, where one put the WiFi card in the side of it, the card would be blinking green irregularly when it was working. And it would be off when it wasn't. I'm not very fluent on XP networking, but maybe you need to first create a new WiFi network connection before it gets around to looking for what WiFi networks are available, I don't know. I don't think an available network would show up by itself under network connections. We live in the south west and have had a Freebox for almost 2 month but we are struggling to get the Freeplay system working. We have followed all the instructions to the letter but the Freeplay button/box on the TV does not respond to OK or FREE - so no joy. Does any one have any suggestions. I haven't tried out Freeplay yet. I can see TV fine on my computer, though. I have a brother living in southern France who is having problems connecting his two PCs via Freebox. He can see both computers from one PC but not from the other one. Can anyone tell me how to get hold of Freebox instructions in English? c0 mon avis, tu devrais de9sactiver le canal auimtatoque, e7a a souvent e9te9 source de proble8mes.Et pour choisir un canal entre 1 et 10, tu peux utiliser le logiciel NetStumbler pour voir l occupation.sur Ubuntu 0btu tapes : sudo iwlist wlan0 scan (en prenant en compte que ceux avec un ESSID).Petite info, si le canal 6 est occupe9, il perturbe les canaux 4, 5, 7 et 8, et partage la bande passante avec tout autre e9quipement re9gle9 en canal 6 (mais ne perturbe pas e0 cause de la de9tection d erreur possible). allez j’ai envie de rire: la scientologie et les mormons ont toutes les deux des prophÃ¨tes a peu prÃ¨s aussi crÃ©dible (c’est dire) que celles d&tonus;avaqr.